Okay, there isn’t a card here. Or rather, not a card to showcase and talk about (but if you read to the end, you’ll get a nice pretty picture just because I’m lovely like that! But I kind of wanted to open up a little more. 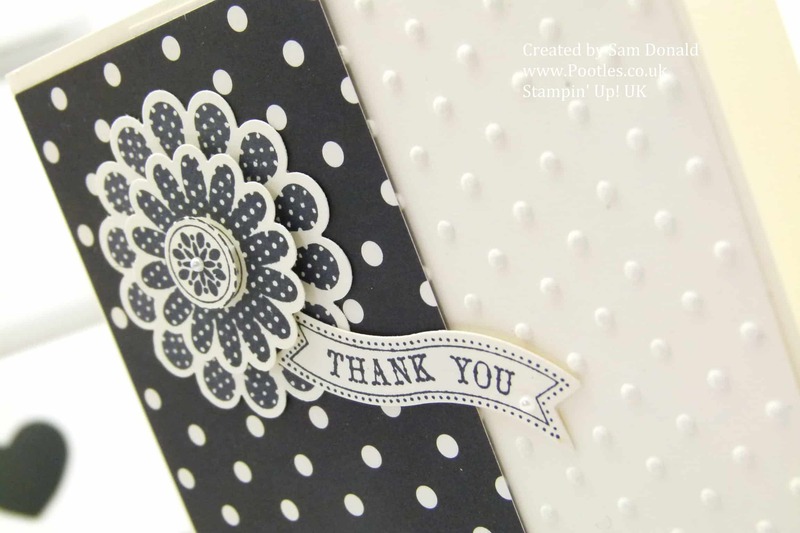 I have a ‘personal’ blog that I normally chunter away on, but actually, I’ve been so busy with Stampin’ Up! that I’ve not had a chance to update it in ages, and I feel very ‘at home’ here with you all, chatting away to you about things in my life, while showcasing cards and projects and whatnot. And I love that you interact back with me, not just here, but on my facebook page. So with that in mind, and the launch of our new online shops, I thought I’d share a little bit about myself and my shopping habits. Okay (takes deep breath) I hate shopping. However, even without small children with me, shopping seems like a lot of hard work. The time it takes to drive to the shop, walk around the shop, queue up, drive home, sneak purchases past my husband… you know the score right? So, for me, shopping online is a stroke of modern day genius. It was my Mum’s birthday not that long ago, and one of the things she wanted was a CD by a particular artist. She told me about 7 or 8 days before her birthday, so plenty of time for me to get to the shops, however, it was the middle of the school summer holidays, my Husband was working most of that time, I had arrangements elsewhere, and trying to pin point even a 1 hour window to be able to get out was verging on the impossible. But before you throw rocks at your computer screen and shout ‘bad daughter’ at me, I instead popped over to Amazon, found the CD she wanted, placed my order in about 3.5 minutes (I have a registered account there!) and sat back knowing that it was going to arrive with me in about 5 days, more than enough time for her birthday. I also ordered some beautiful handmade candles and skincare items from some of my downline. All done online, and all arrived in plenty of time. Now the distance between me and Sandie is quite far, and there was no way I could drive a couple of hundred miles to buy some candles, so the online world was perfect once more. So that’s just a couple of examples of how useful I find online shopping, but equally, when a sale is on, I like to be the first in line. And rather than get out of bed at silly o’clock in the morning and risk scaring small children and the elderly with hair that looks like I’ve come through a hedge backwards and a face that looks like death warmed up, I just pootle (ha!) downstairs, grab a cup of coffee and fire up the pc. Job done! But coming all the way round to my new online store here, I’m pleased that I’ve opened it up because it means a service that is that little bit faster for you. Of course, I do believe I’ve offered a pretty fast service before, but by having this online store open up, a couple of ‘steps’ in the purchasing-of-stuffs has been removed. So while that can be a fast process, not least because my mobile phone (where I work from for email purposes) is practically an extra limb, it can be a slightly slower process than just firing up the pc, popping your items in the basket, paying and off you go. And I also appreciate that actually, you may prefer the ‘anonymity’ of not having to physically ‘chat’ with someone. I genuinely understand that you sometimes want to just shop-and-go without chatting to the sales person on the way. And you may want to be shopping at 2am, and believe me, I am not going to be awake at that hour of the morning! So I really wanted just to say, I know. I understand. And I get that you may want to shop and go without personal interaction with me. And I will appreciate you just as much. There have been quite a few online orders since the shop went live on Wednesday, and those people who’ve chosen to shop with me have received a beautiful card and handmade gift from me, exactly the same as those ladies I meet at parties and workshops, and exactly the same as those who do like that bit of extra interaction with me when placing an order via my blog and email. (I understand that some gifts have been received already since Wednesday, because they’ve emailed me to say thanks!) but equally, if you want to come by my email, ask some questions, get some advice, chill and chat for a bit, I will more than happily give you all my time and attention. Well there you go. A little bit about me and my shopping habits, and me saying ‘thank you’ and ‘you shop how you feel most comfortable, I’ll love you just the same and be equally as appreciative’. Oh, and I promised you a pretty picture. So, thank you for reading. I don’t have a question of the day today, as this is a kind of impassioned post, but by all means, leave a comment or let me know what you think about online shopping!